Another version of this article by the same title appeared in The Jerusalem Post available on their website HERE and on mine HERE. Having already negotiated terms that would leave its nuclear-related infrastructure intact, Iran shifted their focus to securing sanctions relief. Ayatollah Ali Khamenei declared during a recent televised speech, "The goal of the negotiations was to remove the sanctions!" He wasn't referring to a gradual or phased lifting of international economic pressure as President Obama previously suggested; he demanded an "immediate annulment of all sanctions." True to past form, the White House seems poised to cave on this issue as well. It is unfortunate because sanctions are America's only insurance policy that Iran will keep up their end of the bargain--and even then it is dubious insurance at best. The United States' position has been that nuclear-related sanctions will be suspended only after Iran fulfills its nuclear-related obligations. To meet that bar, the six world powers known as the P5+1 have argued that Iran must grant international inspectors access to any possible military sites involved in its nuclear program. Only with a thorough accounting of all Iranian nuclear activities will it be possible to verify their compliance during the term of a deal. Iran, however, has no intention of complying. On Friday, Reuters reported that Iran is continuing to stonewall the International Atomic Energy Agency in coming clean on their past nuclear activities. This, despite the White House claim in 2013 that the interim agreement with Iran would lead to "increased transparency and intrusive monitoring of its nuclear program." This behavior from Iran has been the rule, not the exception. One might expect such action would harden the American position in the negotiations but incredibly, it has had the opposite effect. In a Friday press conference, President Obama admitted, "Our main concern here is making sure that if Iran doesn't abide by its agreement that we don't have to jump through a whole bunch of hoops in order to reinstate sanctions. That's our main concern." In other words, Mr. Obama is more concerned with internal P5+1 negotiations over sanctions relief than he is with Iran over the terms of the deal or its current actions. As part of the 2013 interim agreement with Iran, Washington provided some sanctions relief in exchange for some very modest restrictions on the expansion of Iran's nuclear program. The uneven trade surrendered key American leverage, implicitly recognized an Iranian right to enrich uranium, and in the process, set Iran's economy on a path to recovery. By playing that card too early, the U.S. now lacks a key bargaining chip to offer as an inducement for more necessary Iranian concessions. The Obama administration originally pledged that the paltry sanctions relief provided for in the first six months would only equal $7 billion but instead it amounted to around $11 billion. The two negotiation extensions provided Iran with a total of $7.8 billion in additional sanctions relief. 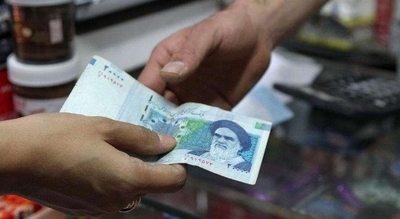 While that was enough to alter Iran's economic footing, it is nothing compared to the financial windfall Iran is set to receive if more sanctions evaporate. To put it in perspective, removing oil sanctions alone would provide Iran with $1.6 billion a month, or $56 million per day, according to Iran's oil minister, Bijan Namdar Zanganeh. Yet these numbers do not dissuade the White House. As part of a plan to phase in sanctions relief, the Wall Street Journal reported that Obama plans to start with Iran's frozen oil revenue and will provide between $30 billion and $50 billion just for capturing Iran's signature on the deal. That gift would boost Iran's GDP by 10 percent overnight. Absent a credible military threat, there is no reason to believe that Iran will come clean regarding its nuclear program if Washington surrenders its remaining leverage. Nor is it reasonable to hang one's hat on the belief that Iran will moderate its behavior if both its diplomatic and financial isolation is ended. That is a recipe for increased corrosive Iranian behavior in a region already sliding under the Islamic Republic's boot. Like any clause contemplated in a deal with Iran, removing sanctions should be behavior-based, not an automatic reward for reversible promises. Despite wishful thinking in the White House, once sanctions are lifted they will never "snap back" because such mechanisms do not exist. To avoid a colossal perversion of diplomacy, Washington should seek to keep oil-based sanctions in place for as long as possible and only dole out such relief in exchange for Iran's verifiable compliance. Can Sanctions on Iran 'Snap Back'?